After a longer than intended lull in blogging, I’m back and eager to share my reflections, process, and creative adventures with you! I’ve said it before, but beginning is the hardest step. I got stuck in a cycle of the longer I waited, the harder it was to simply jump back into blogging. Today, that ends. What better place to begin than with community and some of the fun sew alongs and bees taking place this year, as well as my grand plan for stress-free participation in them!? Soon I will share my goals, focus, and “one word” for 2017, as well as some of the other fun projects on which I’ve been working. For now, hello!! It’s great to be back, and I’m excited to share inspiration and creativity with you again! The online quilting community is known for its welcoming vibe and almost endless opportunities to sew together virtually if not in person. 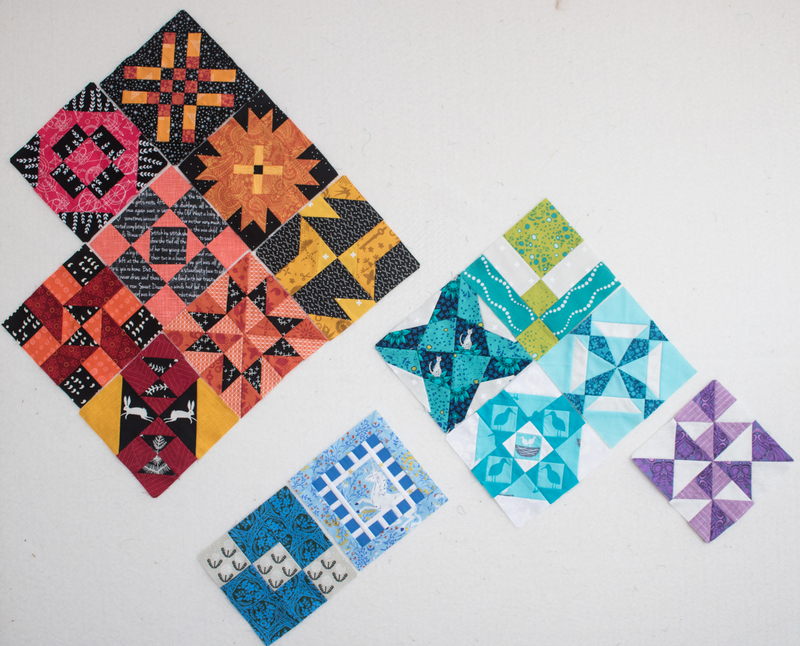 There are so many fun Sew Alongs and Quilt Bees happening at any given moment across the quilting community, it’s often hard to decide which ones to join and which ones to pass on. I’ve joined a few Sew Alongs in the past, typically the block-at-a-time style–specifically the Farmer’s Wife led by Angie at Gnome Angel, #100days100blocks also lead by Angie on Instagram, and the Quilter’s Planner 2016 Scrappy Picnic Plaid Sew Along led by yours truly on Instagram. I had a lovely time participating (and still participating) in them, but found that I often cannot keep up with the pace because of other obligations. For 2017, I think I’ve come up with a plan to address that and turn it into creative opportunity! 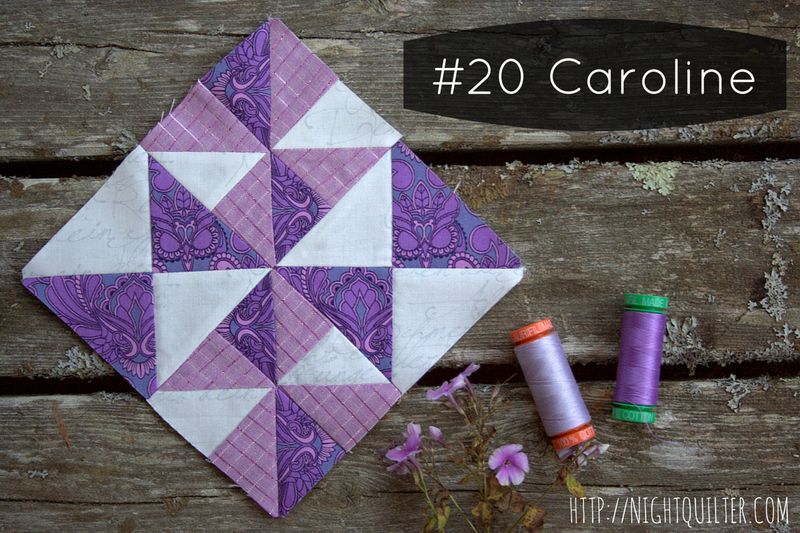 Hosted by the Sew Along Queen, Angie from Gnome Angel, this sew along is a given for me! Using the block instructions on each weekly spread in the 2017 Quilter’s Planner, Angie’s leading this sew along to encourage and support you to make each block each week. Visit her page HERE to read all the details, as well as to see how you can join. 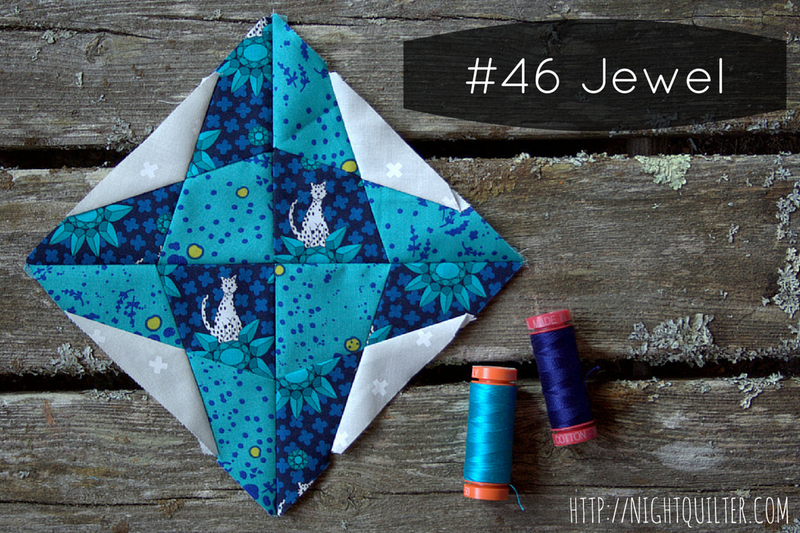 This is a great sew along for those looking to get into a regular sewing habit. 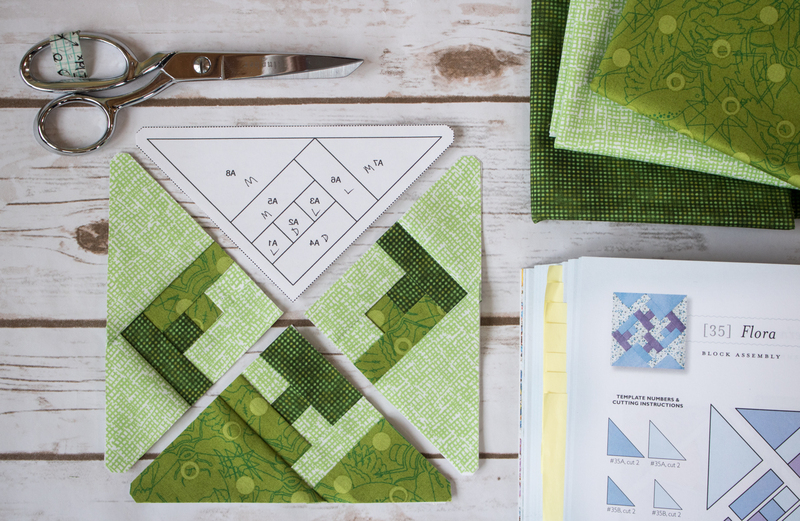 Plus, it’s a chance to use your Quilter’s Planner to its fullest! Each month there are two queens (and/or kings, but for the sake of brevity will be called queens) who decide on The Honey Pot Bee block patterns. Each queen picks one, I announce them to the world, then each participating member (Princesses and Princes) can choose to make one of each or two of the same. Each member then keeps the blocks for themselves. 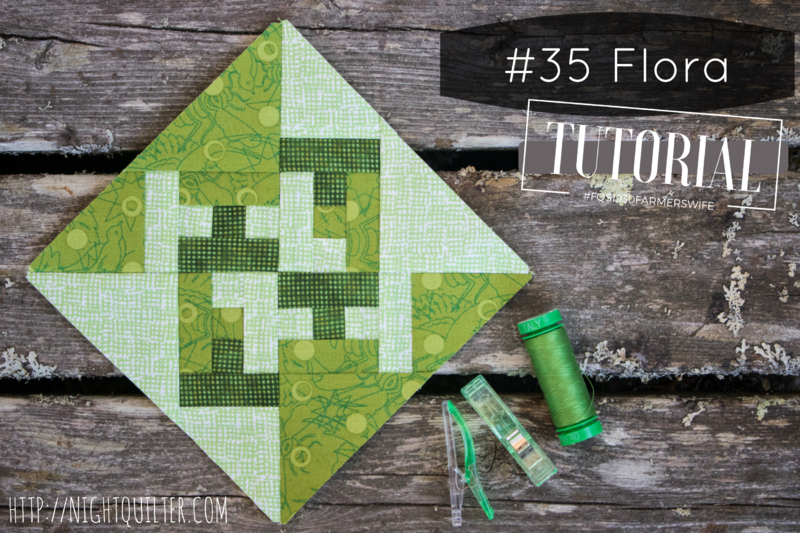 This is less of a block swap, and more of a way to find amazing block tutorials / patterns they never knew they wanted to try from other amazingly talented people. 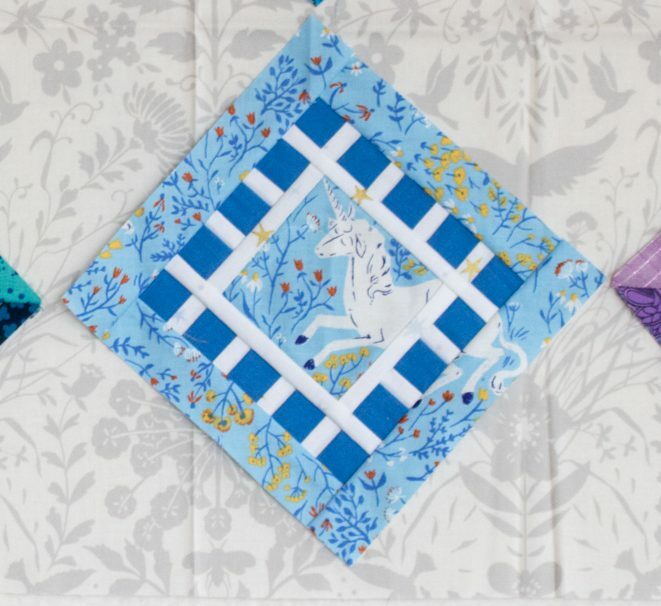 Some of the blocks will be original patterns from the queens, some will be existing tutorials from world class quilters. That will be up to the queens to choose. I love this idea since I really don’t *need* another project, but I do love the community that is built around quilt bees and sew alongs. I love that Molli encourages you to make only the blocks you love, and that there are two unique options each month. Once I came up with my 2017 grand plan (more on that below), this one definitely needed to be added to the pot! Get all the details HERE. This is another fun weekly sew along hosted by Angie, using Pen and Paper Pattern’s Garden Snail Quilt. I think these snails are super cute, so I am joining in the fun, but plan to make only a few snails to add to the mix of the rest of my blocks. The gist of this Sew Along is easy… you simply make one block each week and post it on social media of your choice on Snail Sundays. You can find all the details HERE. 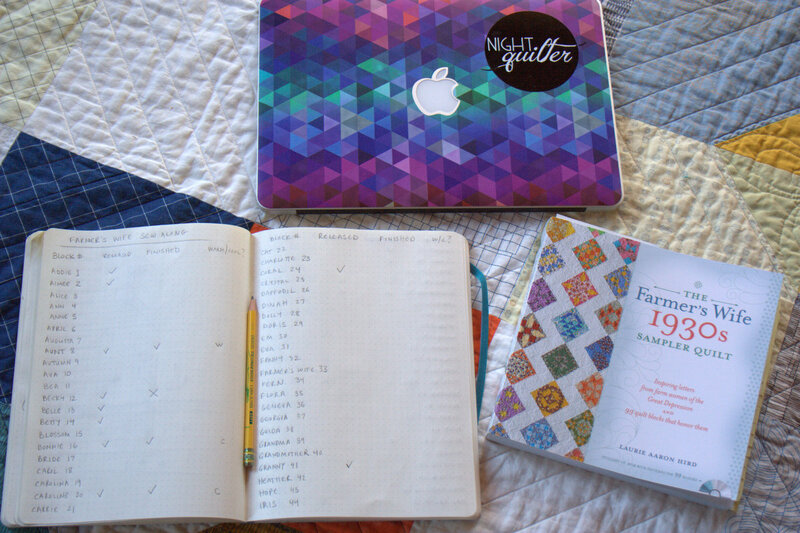 So now… for my Grand Plan that makes all of this not only manageable, but also fun! Ready? I plan to participate in all of these sew alongs and bees, but with NO pressure. I am not playing along for the prizes. I’m playing along for the community and the recurring “deadline” to make a block and share it. I plan to use the same fabric pull and color scheme for all three of these bees/sew alongs, and combine all of the blocks together at the end of the year into a (hopefully) queen sized quilt for our bed. 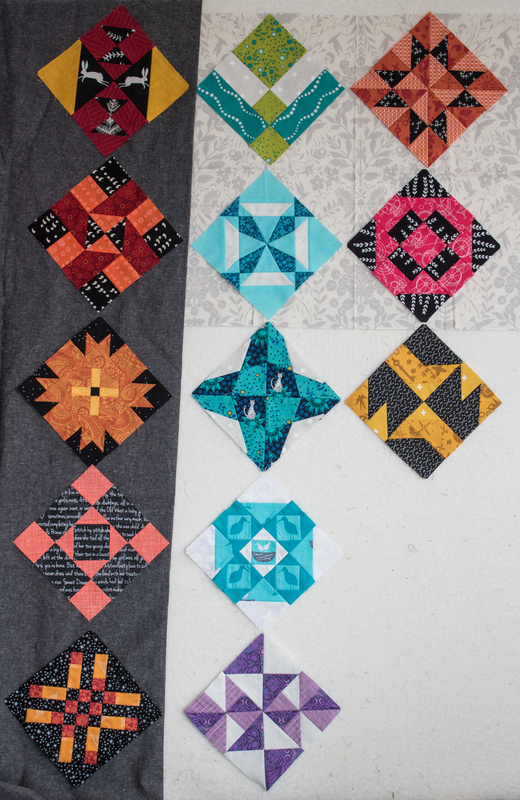 This way, I can make the blocks I really love, whenever I have the time to make the block, and I won’t need to stress when either life obligations kick it up a notch, or I have another project that needs my attention. As they say in hashtag land, #winning! I’ll write more about this in another post, but I plan to use a color palette based upon the Pantone color of the year for 2017: Greenery. While green is not a color I’ve sewn with in large quantities before, it speaks to me on many different levels–from the freshness of the color, the vibrant hope that comes from new life in the spring, to the rich green that abounds in the environment around me–which as you know, I love dearly–, to the simple challenge of making a quilt with no final assembly pattern, and no guidelines except color. I’m both invigorated and scared at this plan, but as is my style, I’m jumping in with abandon, holding onto the hope that I can pull it all together into something epically beautiful (or at least tolerably pretty) at the end of the year. For those of you who excel at fun and clever naming, I am trying to decide on a name for this greenery quilt project and am open to any suggestions or ideas! 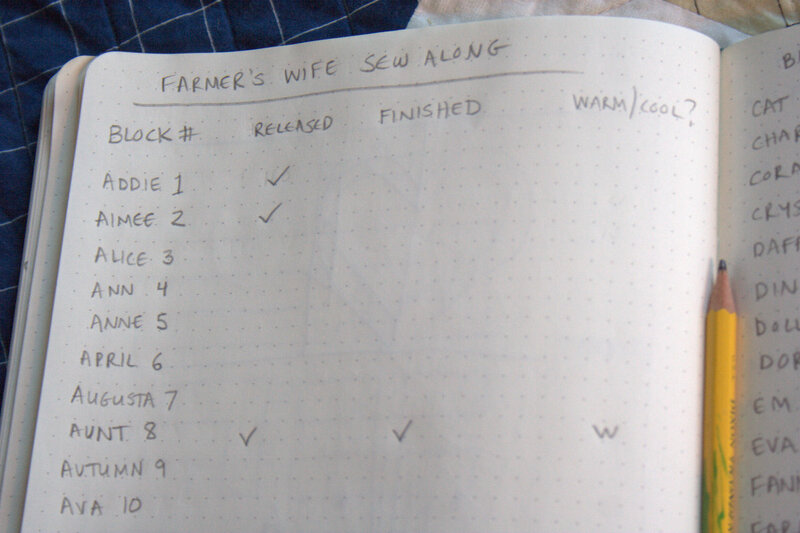 I want to select a name for this quilt so that I can tag all of my progress together across the bees/sew alongs, but “Kitty’s Greenery Quilt” sounds a bit flat. 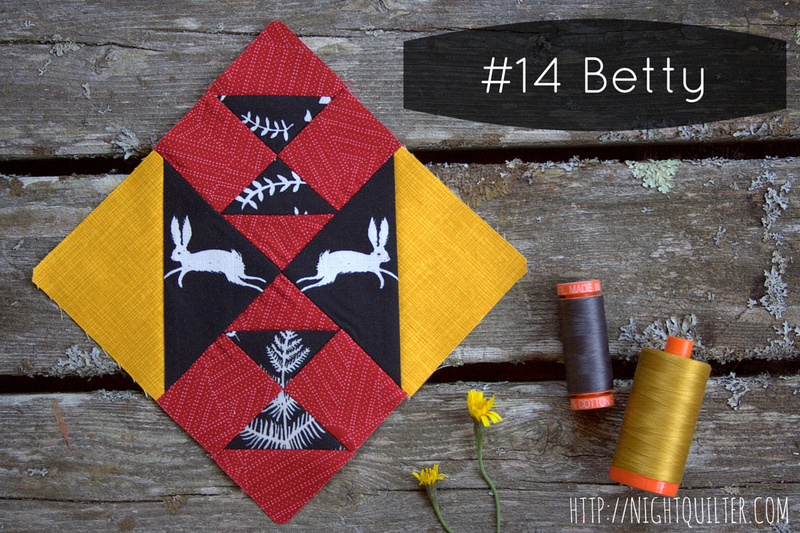 Maybe Night Quilter Hugs Trees and Bees? LOL #NQhugstreesandbeesquilt Uhm…. I’m looking forward to sharing my progress here, and thank you as always for following along with me on my creative journey, during waves of profuse creativity as well as lulls of relative quiet. I hope 2017 is off to a great start, and I’m looking forward to creating with a hopeful heart this year. I’ll link up with Lorna’s Let’s Bee Social tomorrow, since I’m ready to jump back in! Did you know that a significant percentage of the stuff that goes into landfills is discarded clothing and textiles? Textile waste is a huge problem which will require changes from how the industry runs business to how we run our homes. If every one of the 16 million occasional quilt makers or 1 million active quilt makers in the US made one quilt a year from discarded clothing and linens, imagine how many pounds of material waste would be spared from the landfill. Reading this struck my environment-loving heartstrings, and I knew I had to add this to my list of makes for the year. With Kim’s encouragement, I was hooked. Thus began my #ThriftedCitySampler, 10 days late but raring to go. I resisted for quite a long time, really! I pulled some old worn out clothes from our toss/donation piles (a workshirt of my husband’s with elbows worn nearly through, a pair of maternity corduroys that were a hand-me-down given to me by a friend who had received them as a hand-me-down from another friend and worn bare in too many spots to mend, and a thrifted leather skirt I had bought for a project that fizzled before it really began), and hit up a local thrift shop to fill in the gaps a bit. I decided to focus on a monochromatic grey color palette, but asked my kids to choose a pop of color from the sale racks. A large pair of coral women’s capri pants fit the bill, and I’m excited at the resulting palette. It took me a few days to decide how I wanted to share these blocks each day on Instagram. I began by simply sharing each block with a basic flat lay, but with the muted color palette, the aesthetic just wasn’t doing it for me. Block 14 from Tula’s City Sampler book, Day 14 in #100days100blocks challenge hosted by Angie @gnomeangel. Environmental focus: wetlands! I finally decided to continue along the environmental advocate path. Appreciating, understanding, and caring for our earth is very important to me, and so I decided to use the sharing of these blocks made out of thrifted materials as a platform to share some tidbits of information about the environment, in the hope that by learning more about this mind-blowingly diverse and beautiful world, people will be more invested in preserving, restoring, and caring for the environment. Even if you don’t have Instagram, you can follow along with my posts and environmental tidbits by clicking HERE to see my #ThriftedCitySampler stream on Instagram. * I invite you to follow along with my posts, where I’ll share tidbits about this beautiful world: information about a specific ecosystem, an introduction to some of my favorite plants, or sharing wild stories of symbiotic relationships in the world around us. *Please let me know if this doesn’t work, those of you without Instagram; it seems to work for me, but I also have an IG account. Block 15 from Tula’s City Sampler book, Day 15 in #100days100blocks challenge hosted by Angie @gnomeangel. Environmental focus: milkweed and monarchs! So far, I’ve shared information about my favorite ecosystem: wetlands (I worked for 6 years as a wetland scientist before teaching and then mom-ing), and the awesome symbiotic relationship between milkweed and monarch butterflies. I hope you enjoy the journey and perhaps learn something new about this amazing world in which we live. I’m linking up with Let’s Bee Social since it’s been AGES since I’ve joined a linky party and I miss sharing my creative process and in turn, peeking into your recent creations! 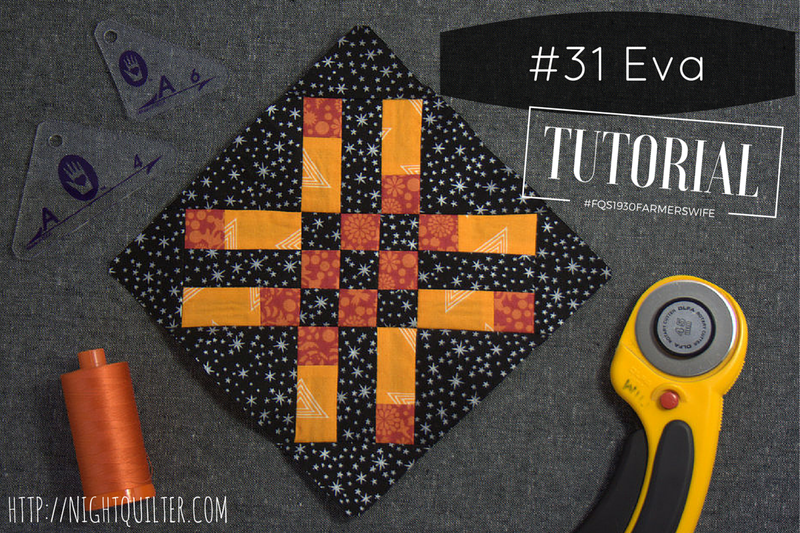 Today is my day to share the Block 31 Eva tutorial for the 1930 Farmer’s Wife Sew Along, hosted by Angie at Gnome Angel and sponsored by Fat Quarter Shop and Marti Michell. As with Autumn, a first look at block 31 Eva may cause you to balk: 37 pieces in one 6″ block, and many of them are tiny squares!? But with a creative look at the block construction, Eva can come together smoothly and without too many teeny pieces. 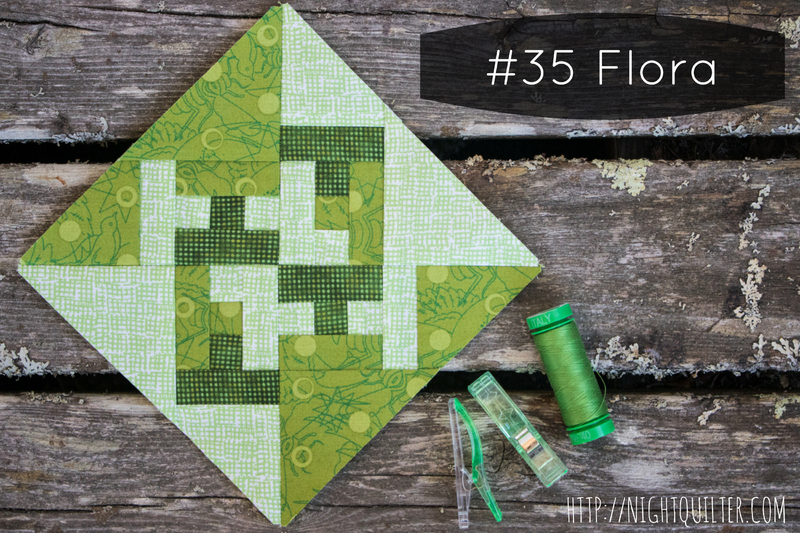 This sew along continues to show me that there is nearly always a faster and easier way to approach block construction than purely cutting out all of the pieces and sewing them together. With a few shortcuts and piecing tricks, Eva comes together quite smoothly. 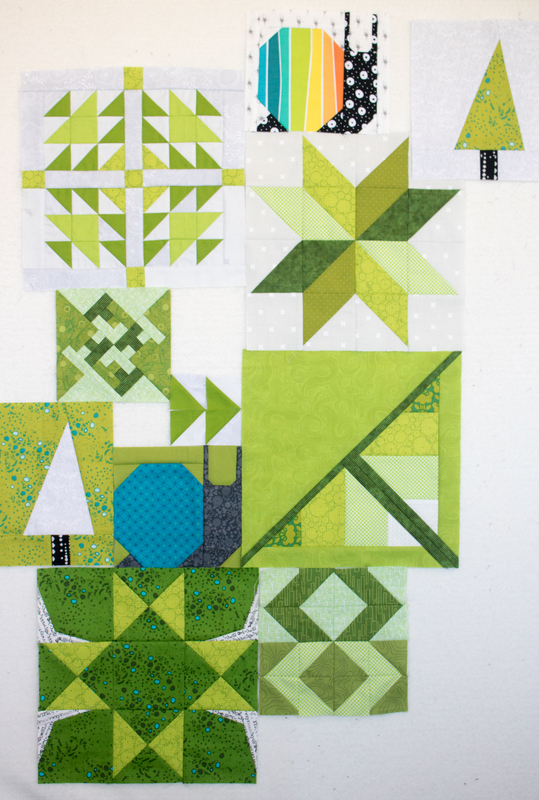 In this tutorial, I’ll show you how to use strip piecing to save a bit of time and create larger, more manageable pieces, and fill in the gaps using Marti Michell templates (Set A) or rotary cutting to help make putting Eva together smooth and enjoyable. The letters in this book continue to move me in their honesty and relevance in my life today. It’s amazing how similar the worries of today are to those of the farmer’s wives back in the 1930s. Losing sleep over financial stability seems to me to be part of the human condition. Especially at our current stage of life, growing a young family, recently having bought our first home, and working hard as a one-income family of five so that I may be a full time mom raising our children, my husband and I unfortunately do not escape the worries of making ends meet. Mrs. P. G.’s dream of two sparrows drawing nearer together when faced with the winds of adversity really resonated with me, and gives me renewed hope that “every little thing, is going to be alright” (thanks, Bob Marley, and Mrs. P. G.). 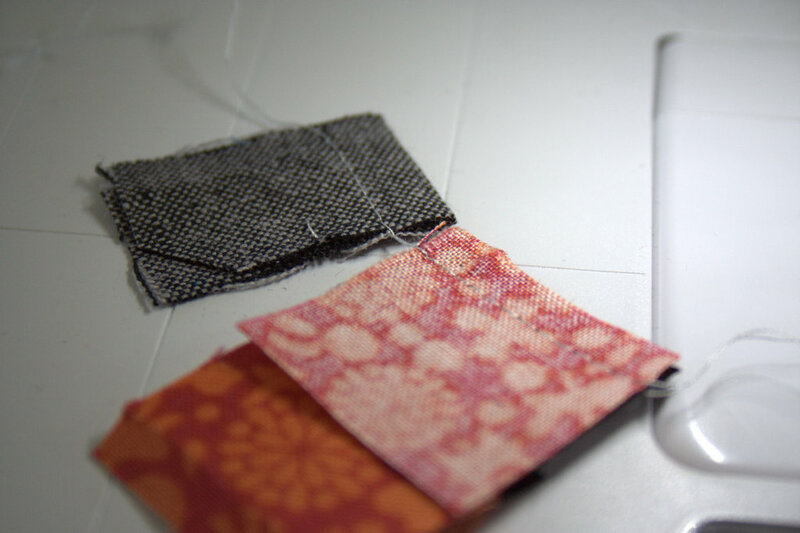 For this block, I specifically chose fabrics with small or nondirectional prints, so that I could quickly strip piece the components without worrying about fussy cutting or directionality. Note that I am arranging my final layout on-point, but for the purposes of being consistent with the diagram in the book, this tutorial pieces the block squared. 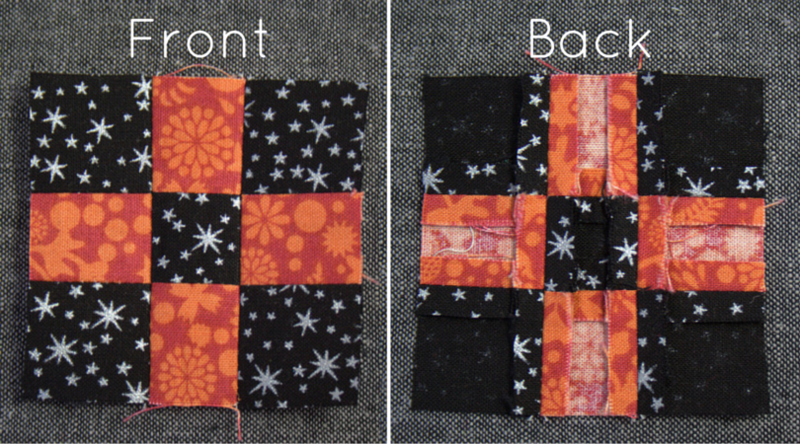 If you plan to set your blocks on-point, be sure to account for that with any directional fabric placement. 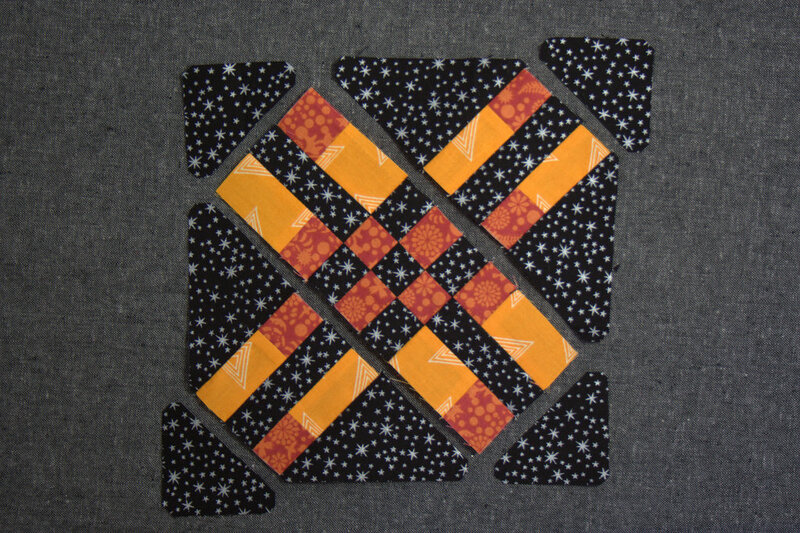 When broken into more manageable pieces, this block is composed of the center 9-patch, two pairs of mirror image blocks, and 8 surrounding triangles, cut with templates and/or a rotary cutter. 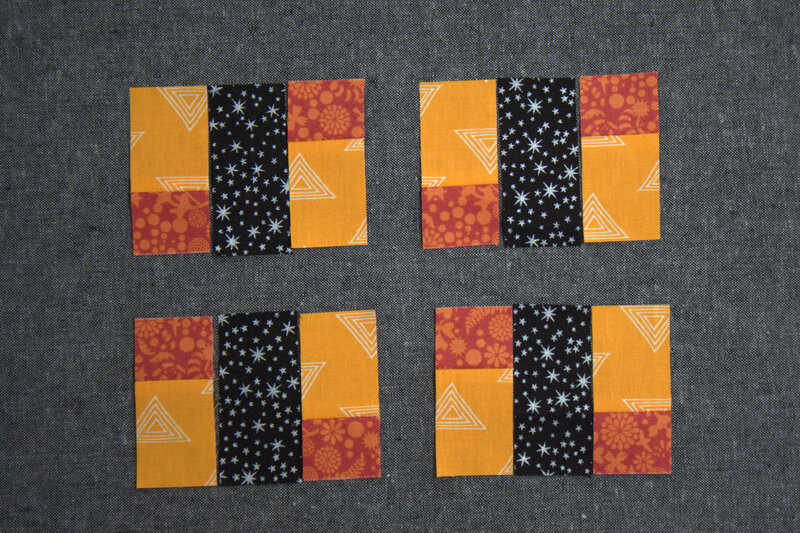 I first made the blocks using strip piecing to speed up the creation of the components, and then sewed them all together. Let’s break it down. In the book, the cream and yellow fabrics were used to make the #31E 9-patch. 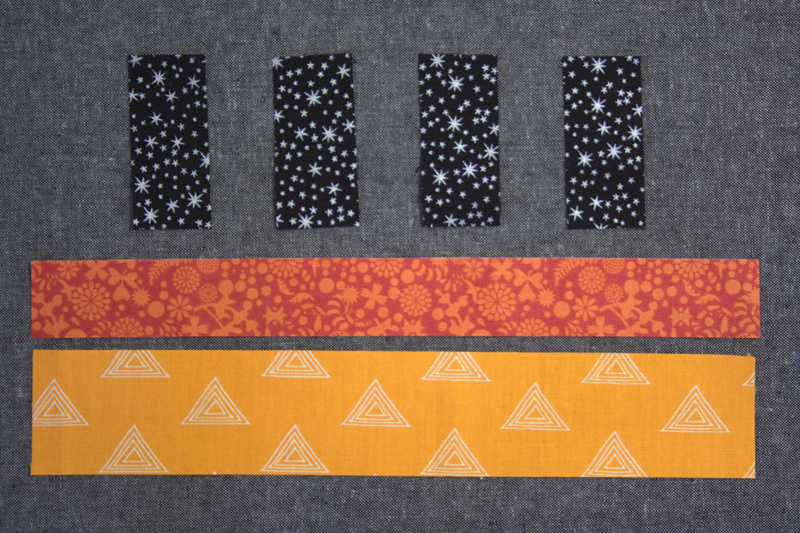 Choose your coordinating fabrics (I used black and orange and will refer to the fabrics as black and orange throughout). 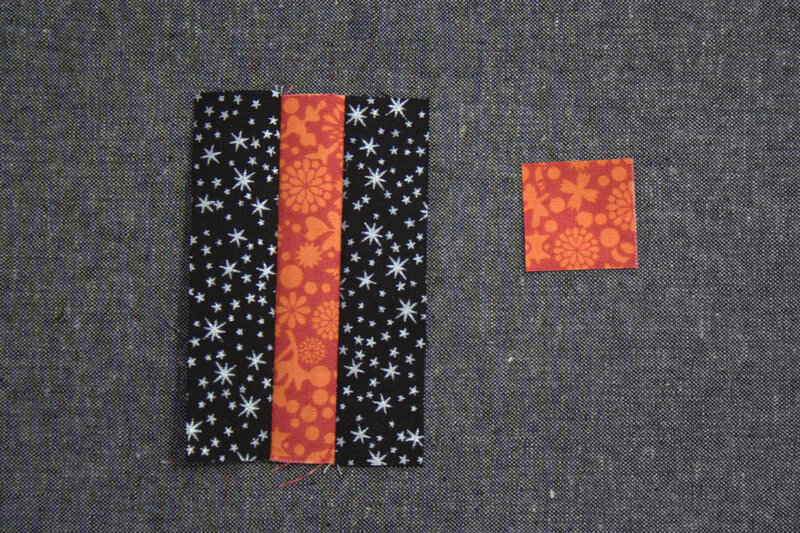 Cut one (1) 1 3/16″ x 19″ long strip of your cream equivalent fabric (I used black). Subcut two (2) 4″ long pieces. Set the remainder of the strip aside. 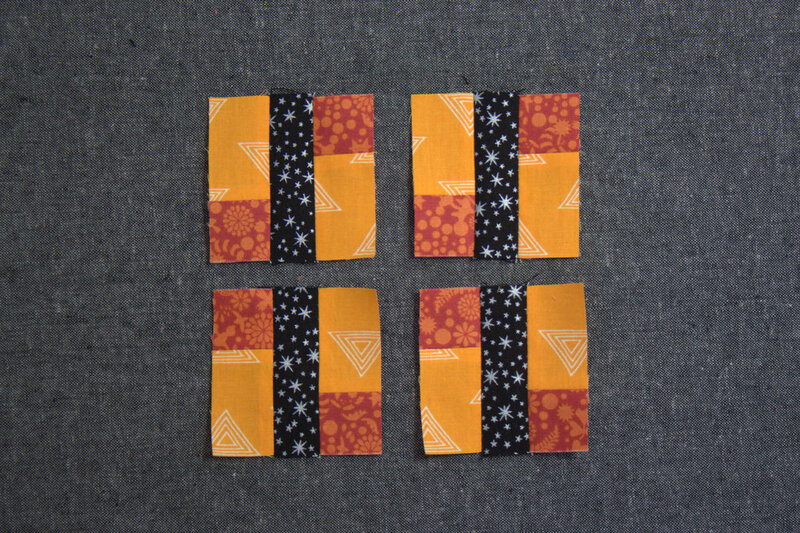 Cut one (1) 1 3/16″ x 16 1/2″ long strip of your yellow equivalent fabric (I used orange). Subcut one (1) 4″ long piece and one (1) 1 3/16″ square. Set the remainder of the strip aside. *Measurement tip: 3/16″ is halfway between 1/8″ and 1/4″. Since the 1 3/16″ measure was used so often in cutting for this block, I marked it with painter’s tape on my ruler to help avoid confusion. 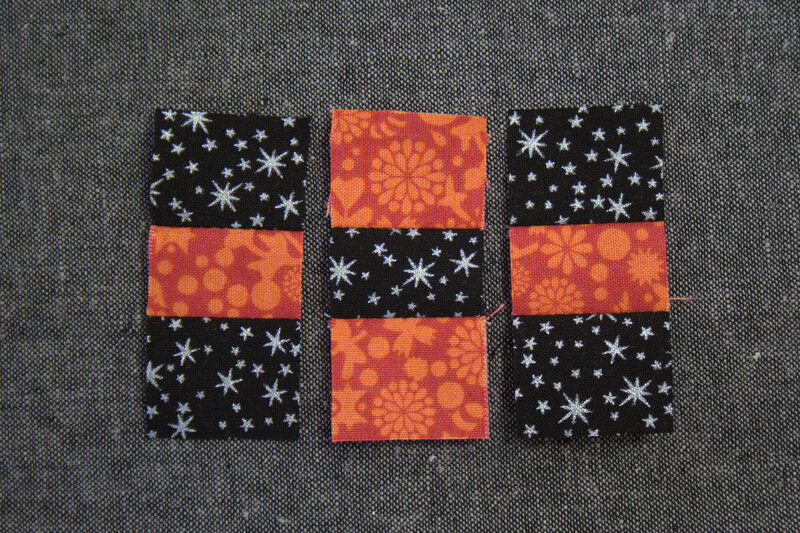 Sew black strips to orange center as shown. I prefer to press my seams open for ease of matching seams and reduction of bulk. Feel free to press open or toward the darker fabric. Ruler marked with 1 3/16″ measure. 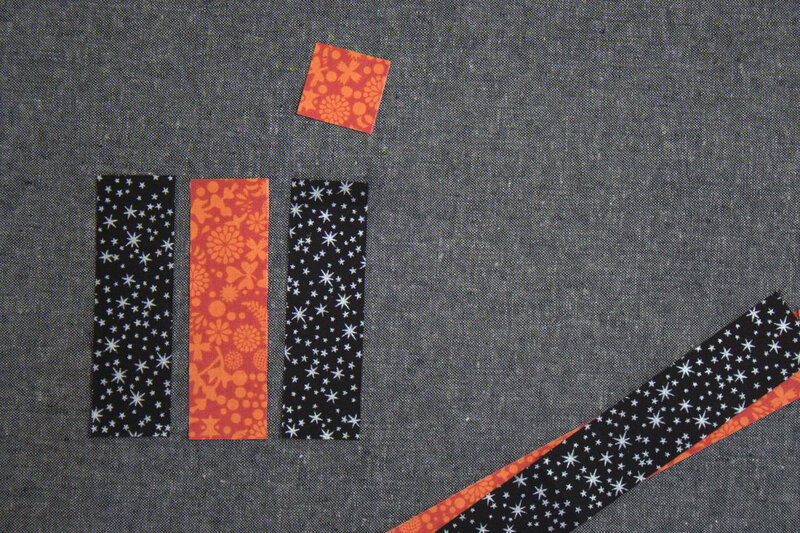 Cut into three (3) 1 3/16″ wide strips as shown. 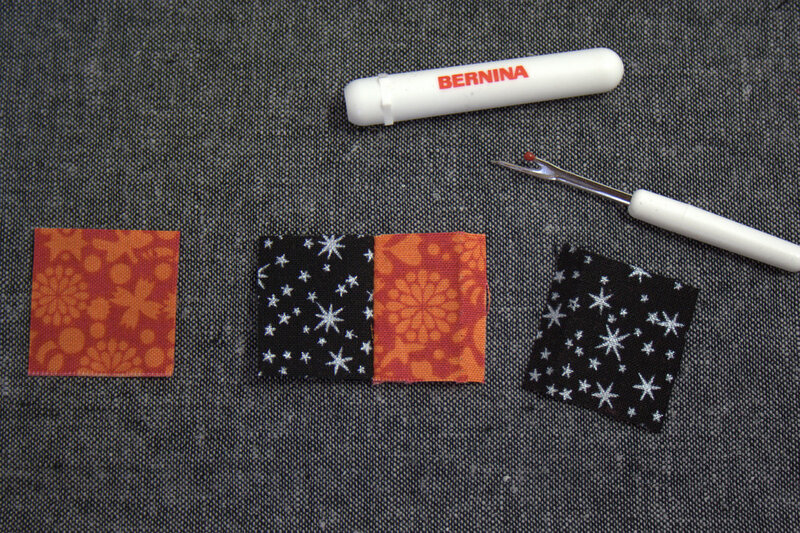 Next, carefully unsew one of the black squares. 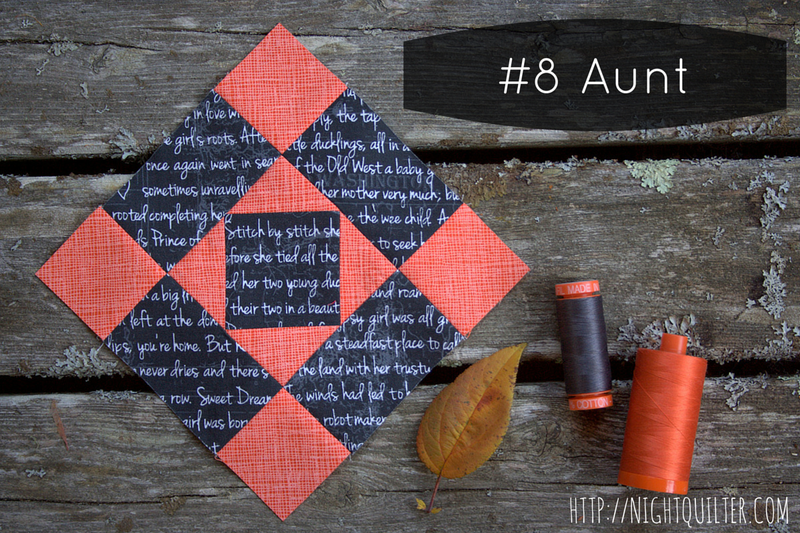 Sew the orange 1 3/16″ square to the other side to make the center strip for the 9-patch. 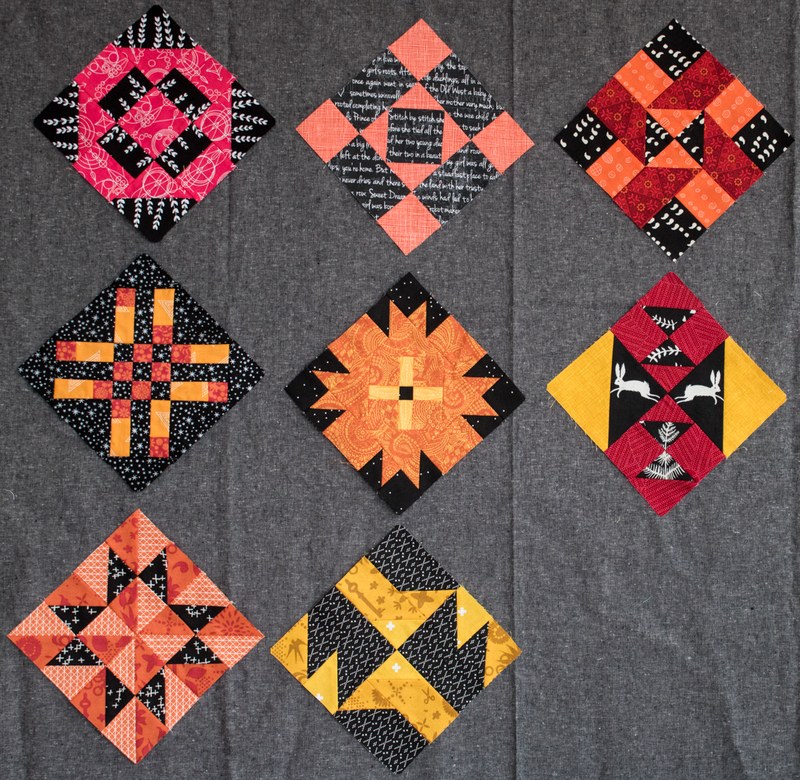 This is a great time to use a leaders and enders project to help smoothly sew these tiny pieces without the fabric getting bunched in the machine. 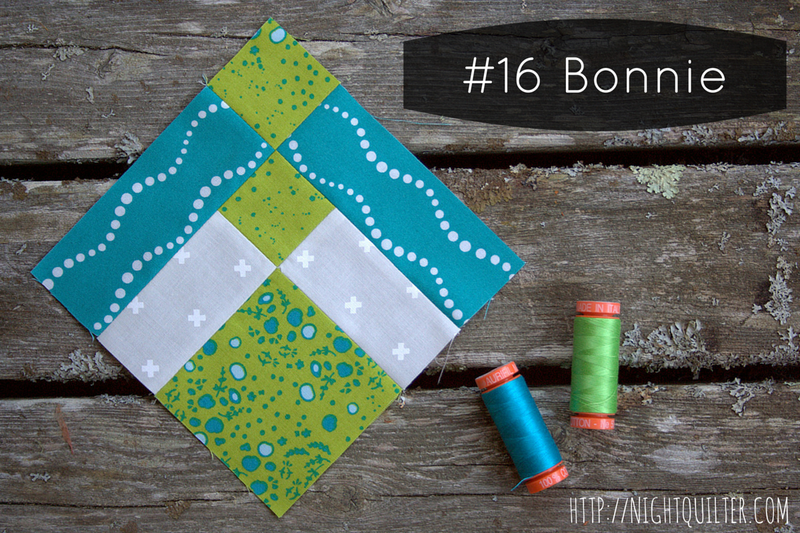 If you don’t have a leaders and enders project in progress, sew through a scrap piece of fabric before sewing the tiny squares together. 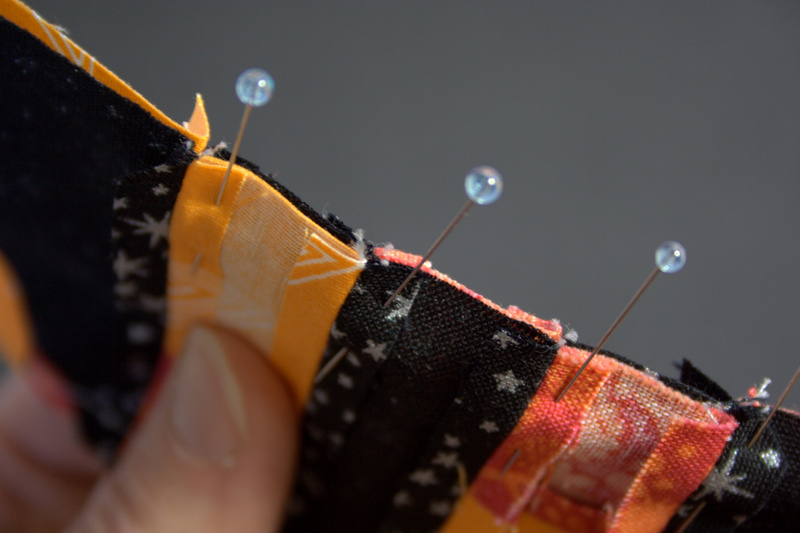 This will help your stitches stay smooth despite the tiny fabric size! You now will have your three strips for your 9-patch. Carefully sew them together, pinning just after each seam join. Press seams open. Above shows my block, front and back. Note how nicely the pressed-open seams sit! Set your 9-patch aside. In the book, the cream, yellow, and blue fabrics were used to make the remaining blocks, each comprised of a #31C and two #31D-#31E units. (I used black, orange, and yellow-orange fabrics and will refer to them as such throughout). 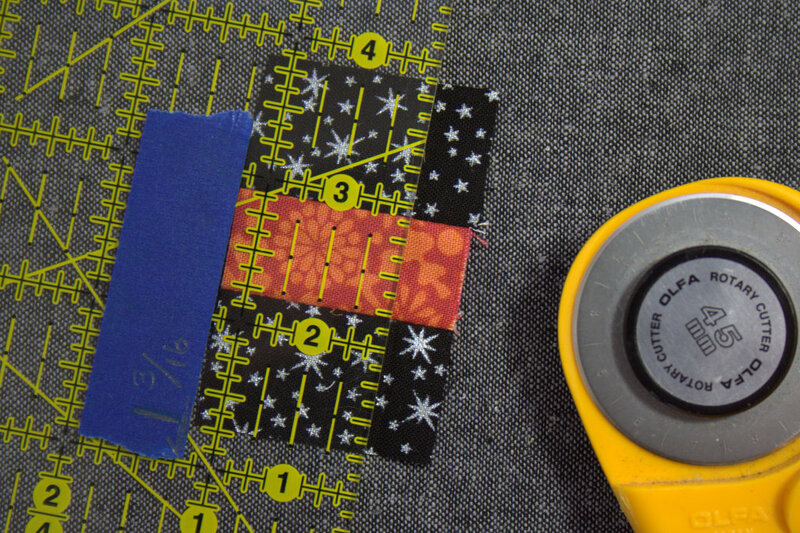 Cut one (1) 1 7/8″ x 11″ piece from your blue-equivalent fabric (I used yellow-orange). 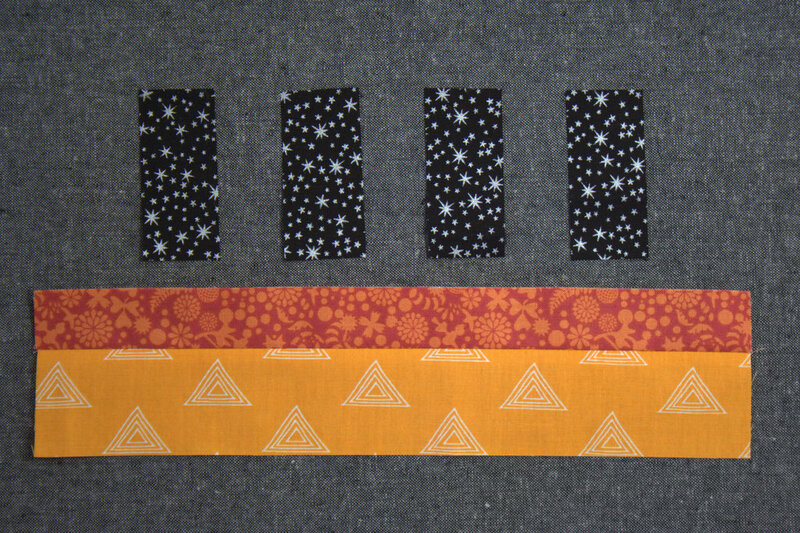 Retrieve the fabric strips set aside during the 9-patch construction, and subcut one (1) 1 3/16″ x 11″ strip from the orange. From the black strip, subcut four (4) 1 3/16″x 2 5/16″ pieces. 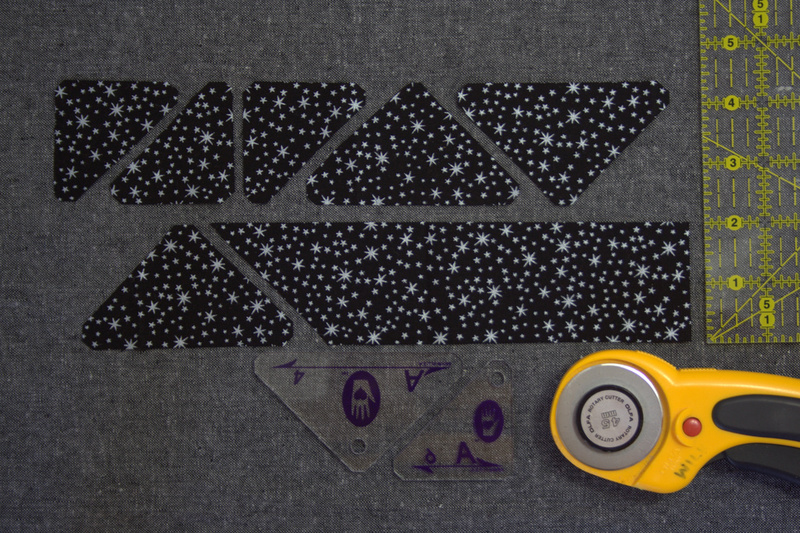 If you have the Marti Michell template set A, the A-3 template is exactly 2 5/16″ and can be used to easily cut the pieces. Sew the orange to the light orange as shown. Press seams open. Subcut the strip set into eight (8) 1 3/16″ segments. Using a ruler marked with painter’s tape as shown previously in this tutorial will help this step go quickly. **MIRROR IMAGE ALERT** At first glance the blocks above may look the same, but notice that they are actually mirror images. The two on top are mirror images of the two on the bottom. Carefully arrange your pieces as shown above, paying very close attention to the direction of the orange bits: orange bit facing down on the left and up on the right for the top two; orange bit facing up on the left and down on the right for the bottom two. Very carefully sew the blocks together, pausing midway to double check the alignment before sewing the second strip onto each center. Press seams open. Set these four blocks aside. 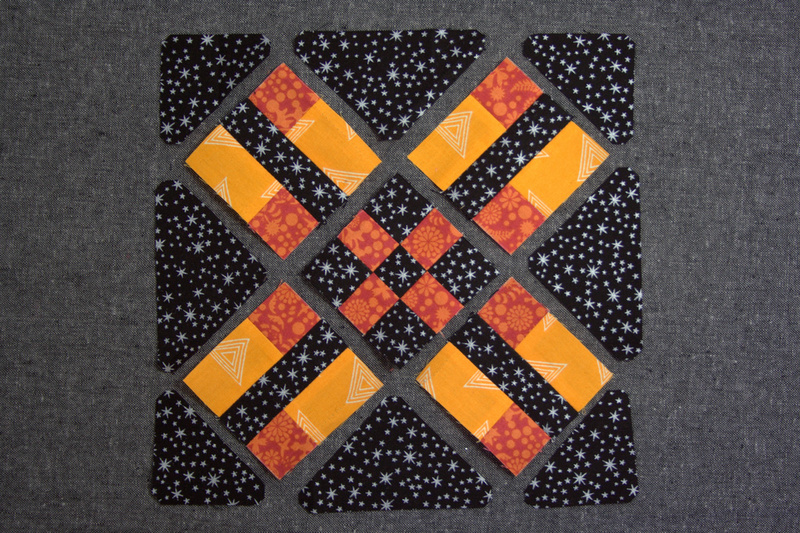 In the book, the cream fabric was used to make all of the triangles that comprise the background of this block. I used black fabric. Cut a 2″ x 18″ strip of black fabric. Using Marti Michell templates A-4 and A-6 or the templates provided in the media associated with the book, cut four (4) #31A and four (4) #31B pieces. The photo above demonstrates how to efficiently cut the pieces from the 2″ strip. One more #31A (the large triangle) and one more #31B (the smaller right triangle) remain to be cut in the photo above. Now you have all of the components necessary for piecing Eva! Grab all of your blocks and triangles and let’s lay them out. Here is where the mirror image blocks can get easily mixed up. Take your time, cross referencing with the picture in the book or the photo above to make sure that all of your pieces are heading in the proper direction. *Note: The orange squares all converge in a horizontal strip in the center of the block. 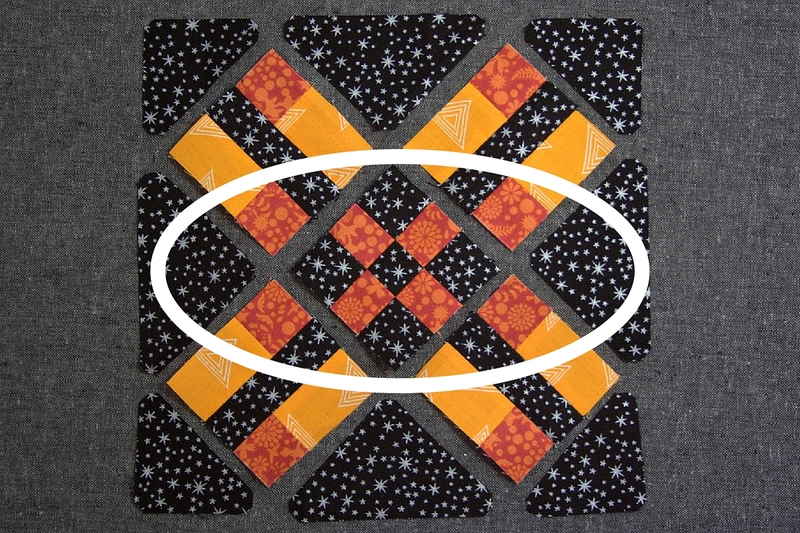 If an oval is drawn horizontally across the center, it should contain all orange squares. We will assemble this block in diagonal strips. 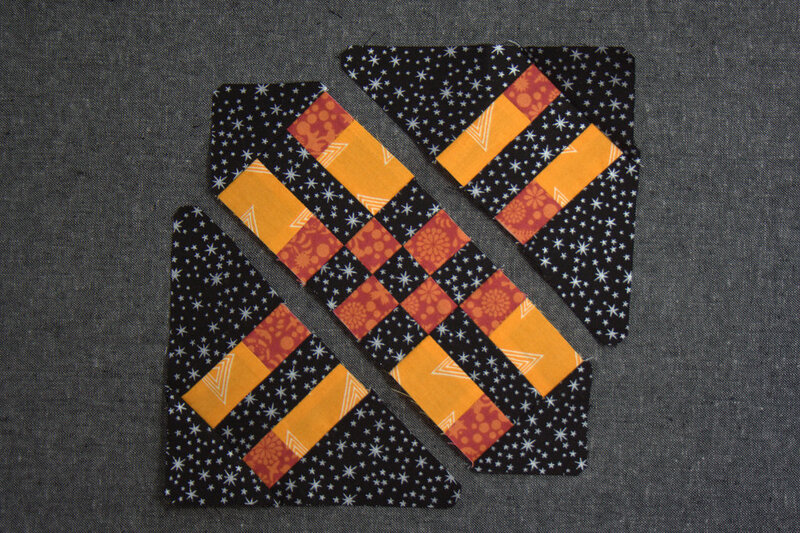 Begin by sewing the large #31A triangles to either sides of the top right and bottom left mirror image blocks, and the top left and bottom right mirror image blocks to the center 9-patch. Press seams open. 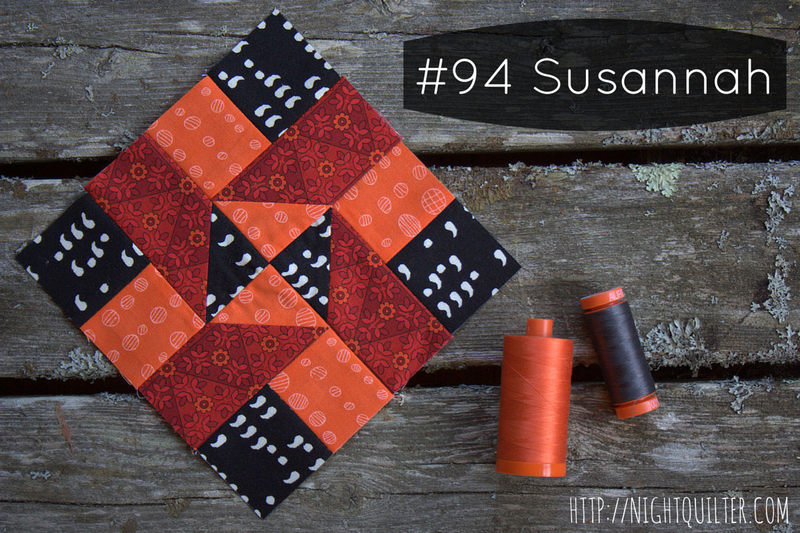 Next, sew the #31B triangles onto each unit. Finally, sew the top right and bottom left units to the center strip. I find it helpful to pin just after each seam match for perfectly matched seams. 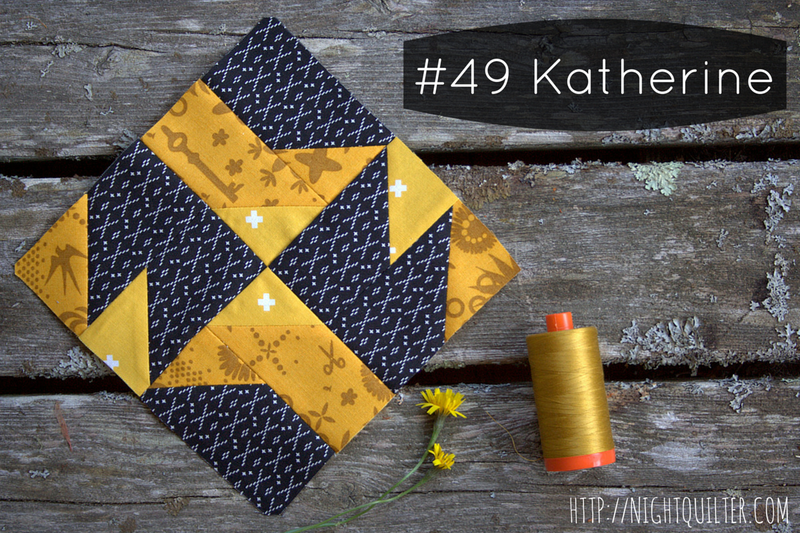 Between the pressed-open seams and the pin *just* after each seam, my block comes together just how I like it! Viola! There you have Eva, easy peasy! 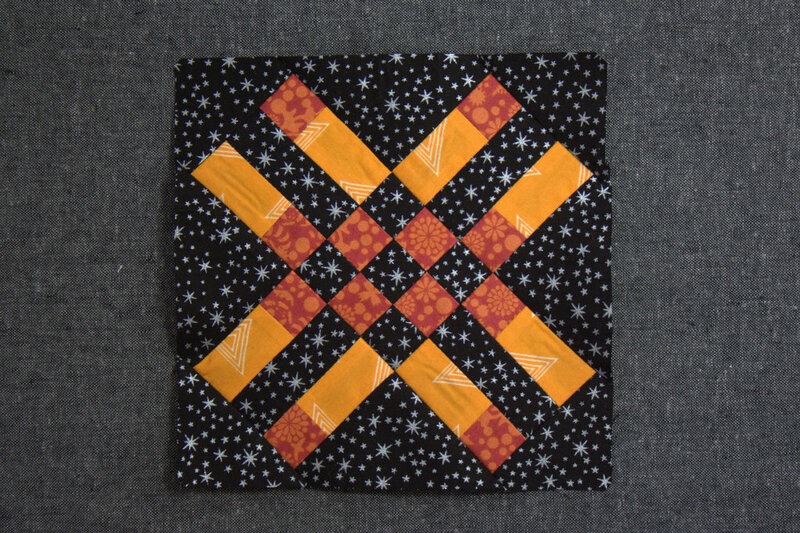 I love the look of this block set squared, but since my quilt blocks will be set on point, I decided to have her orange strip head uphill, since optimism makes the world a brighter place, and the letter encourages sticking together in the face of the winds of adversity. Chin up, here we go! Those who know me know I love color, the brighter and bolder the better! I also love quilt photography and fun styling of process photos, and continuously aim to improve the clarity and aesthetic pull of my photographs. So when Angie at Gnome Angel announced a fun little challenge called the Colour Block Challenge (yes, colour with a ‘u’!) that includes bright color and fun photo styling, I immediately wanted to play. With a to-do list a mile long and only wee bits of time in which to complete it, I wasn’t sure I’d be able to squeeze in making a block for it though. Then, Angie gave me just the gentle nudge I needed–she tagged me on Instagram saying she was personally challenging me, since she knew how much I would LOVE to play. Then and there, I knew I was going to make time to play and participate no matter what–don’t you love when quilting friends really know you and help encourage you to have some extra fun!? I read through Angie’s fabulous tutorial on how to make awesome color (er,… colour) flat lay photos, selected fabrics that I felt complimented the block well but also would lend themselves to some fun color scavenger hunts around the house, and went wild. I took a full Finn nap-time (a serendipitously long one at that!) to make a new Farmer’s Wife block with the colour challenge in mind. 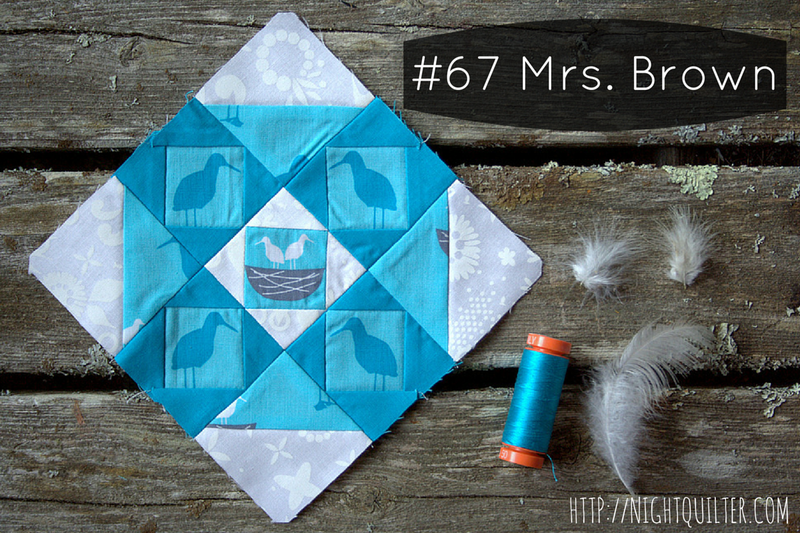 This was doubly great, since I’ve been wanting to make more Farmer’s Wife blocks, but they always seem to drop to the bottom of my list. 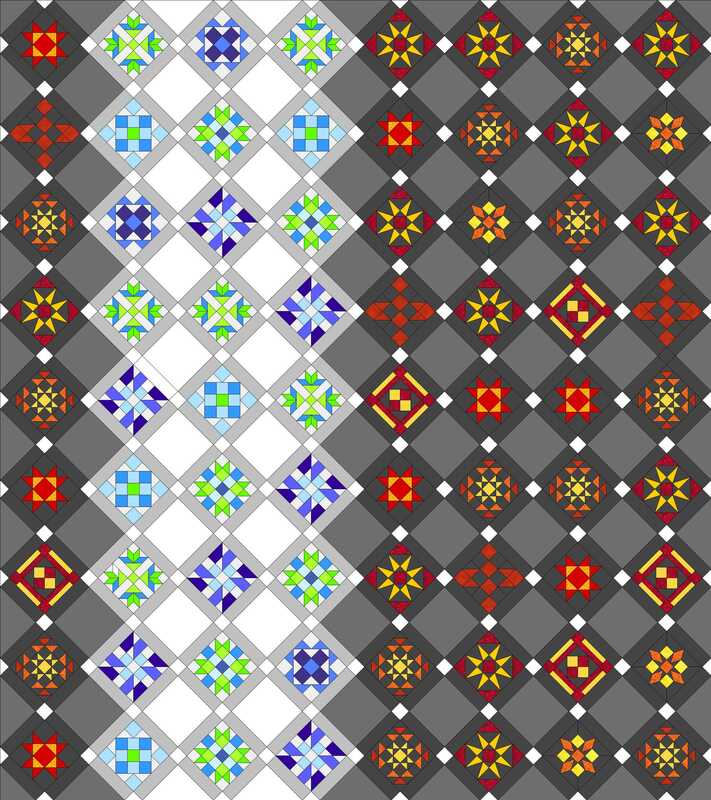 This project has jump-started my desire to catch up with some blocks, AND has reminded me how much I love foundation paper piecing (FPP)! I plan to FPP more of my future Farmer’s Wife blocks, since I was able to make the entire block during the span of one nap time. Knowing that I can accomplish something like making an entire block during one nap helps me feel like I’m set up for success and ready to dive in. Everyone loves a finish, even if it’s a single block! Once my block was complete, I wandered the house in search of colorfully turquoise objects. As Angie suggests, I gathered a lot and generally laid them out around the block on a big white foam board. I arranged and rearranged, and rearranged some more. Without sharing all her secrets (you can go and read her awesome tutorial on how to succeed with these colour flat lay photos here), Angie was so right that the magic happens as you get closer and closer with your photo. The challenge is being held on Instagram, so here was my final entry (above). Looking at it again, my camera photos look brighter than the one I took with my phone. Note taken for next time! You have two more days to post your entries, so if you are on Instagram, I definitely recommend you play, or at least check out the hashtag #colourblockchallenge to feast your eyes upon a gorgeous world of quilty color (you can view the tag online, even if you don’t have a smart phone or an Instagram account). Since I love close up detail photos, here is a little tour of the silly items I found for this challenge. Who knew that we had so many turquoise bits and bobs around the house!? Zippers and frogs, and pencils, oh my! Checking the kids’ bookshelf was a great tip by Angie. Sandra Boyton’s Hippos Go Berserk is a must read, especially when you love turquoise, math, and silliness (like I do!). This smiley shark had as much fun as I did, I think! Legos are an immediate win, and the little bobbin minders that Sarah from Sarah Goer Quilts sent me a few months ago kicked off my color hunt. No turquoise lay would be complete without an Elsa shoe, too, glittering in the background. So much fun! Thank you, Angie, for the push to play. I had SO much fun with this!